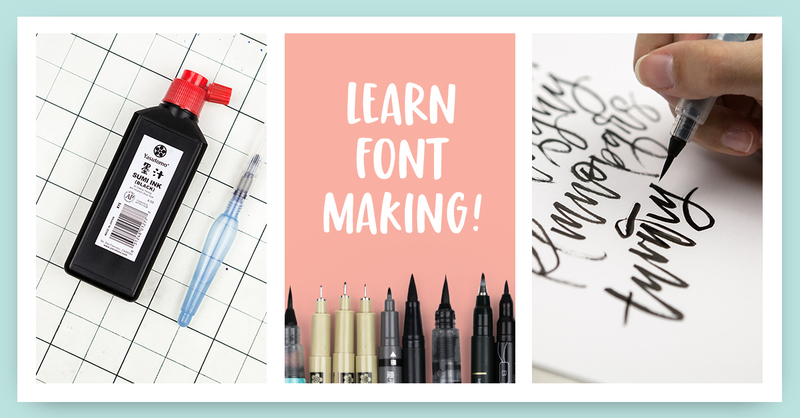 There are helpful tutorials online for font making, but a lot of them use language that can get confusing fast. But Teela is speaking the same language here: no confusion, and as straightforward as possible. From one lettering artist to another. I have just done this course myself and I guarantee it is absolutely amazing! Seriously the best online course I have completed in a long time. Registration is only open this week and spaces are limited, so you want to sign up quickly!